It’s Shrove Tuesday, yay for pancakes! But do they seem like a chore to make? 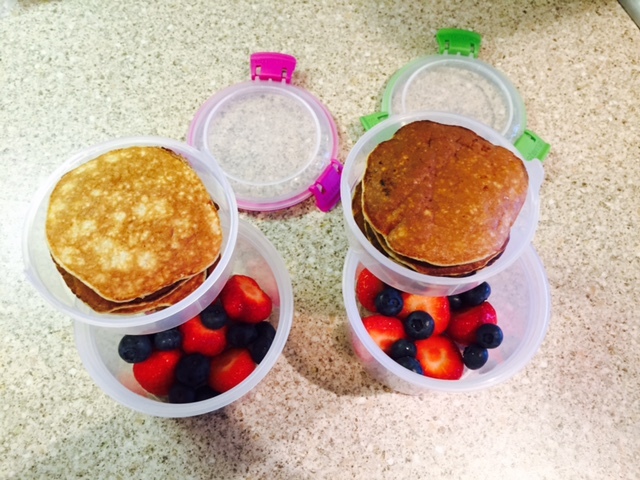 Would you like a super speedy, easy AND healthy pancake recipe?? The pancakes mix is easier to make with a blender – just blast all the ingredients together, but it can also be done with a fork. Crack in two eggs and mix with a fork. (You can also do this in a blender). Optional: add in a handful of oats to increase the carbohydrate and fibre for sustained energy. Pour some mixture in to a lightly greased frying pan (ideally a non-stick one), allow to cook on a medium heat for a minute or two. You’ll see little bubbles appearing, take a peak underneath to see if it turning brown. Flip over and cook the other side. Extras: a simple drizzle of honey/maple syrup, or greek yogurt topped with berries. Tip: if you are watching your weight, studies show eating eggs for breakfast can help. Eggs seem to help you to feel full up for longer and keep your blood sugar levels steady.